Drivers are Looking at their Phones Instead of the Road (CREDIT Copyright: Michael Heim). According to the National Highway Transportation Safety Administration, 3,166 Americans died in crashed caused by distracted driving in 2017. It is easy to say that those three-thousand one-hundred and sixty-six people simply did not have to die. Thousands more did not need to be injured as a result of distracted driving. It impacts anyone and everyone who rides on roadways in Illinois and around the busy, high-traffic areas in and around Chicago. However, surprising statistics from the Illinois State Police and Chicago Police Department depict two very different attitudes towards the dangerous practice of texting, holding a cell phone to your head, or using apps while driving. The Illinois State Police (ISP) issued 14,268 citations for illegal use of a cell phone while driving in 2018. That was a 700% increase from the prior year (1,729 such citations issued in 2017). With the recent news about a disturbing increase in the frequency of crashes involving ISP Troopers on highway roadsides, the ISP is cracking down. However, at the opposite end of the spectrum, Chicago Police went from issuing over 45,000 such tickets in 2014 to issuing a paltry 297 distracted driving citations in 2018. One explanation is that the law changed to require the citing officer to appear at the Court Hearing. However, the effect is that drivers inclined to send that text while driving may see these statistics as a ‘green light’ to do so. 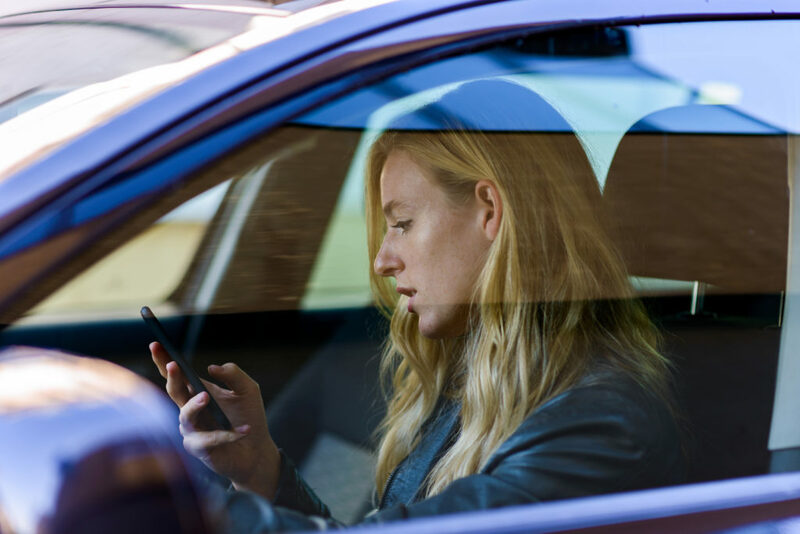 The disturbing trend in the City of Chicago suggests that there will be a corresponding rise in traffic injuries and fatalities due to drivers’ illegal cell phone use while driving. If you experience a crash that was caused by a distracted driver, there are actions you can take right away to protect your rights. First, make sure the police investigate the scene. It is not enough to exchange insurance information. Consider that a distracted driver is likely to deny that they were using their phone and even deny that they were negligent at all—no matter how obvious that may feel to you at the time. If an officer investigates the scene, they will take statements from everyone involved and eye witnesses that remain to give their information and statement. All of that information is powerful evidence that will give your attorney the chance to investigate the cause for the crash more deeply. It means being able to interview an eyewitness on the corner who saw the Defendant with their head down right before the crash. Your attorney can subpoena cell phone records for text and call usage in the timeframe around the crash. If you have been injured because a distracted driver caused a crash, that means they are responsible for your injuries. Their insurance company must pay for the losses you have incurred. However, the strongest way to ensure that happens is to speak to a distracted driving collision attorney as soon as possible. It gives them the best opportunity to secure all of the possible evidence and information that can be used to prove your case. The goal is to prove your case so strongly that no insurance company representative could deny fault or quibble about the value of the claim. To be able to do that, you should speak to one of the distracted driving lawyers at Dwyer & Coogan.